Got an Event coming up – but no costume? We all face this dilemma one time or the other. You get invited to a fancy party/wedding/themed birthday-party ect. and you got noting to wear. For us in the costuming world however, it’s not as easy as taking at tripp to the nearest department-store. We need to create our costumes for ourselves. *Disclaimer: These tips are for the average “Not strictly Histotical correct evets”. If your Event calls for Historical accuracy or “as close to accuracy as possible” you really need to go the extra mile. Got Time and Sewing Skill but short on Cash? Bough 5m of thin plaid cotton on 70% of from a big fabric store for this dress. I used 1 cotton beedsheet that I got for 50Sek (5Usd) on second hand. 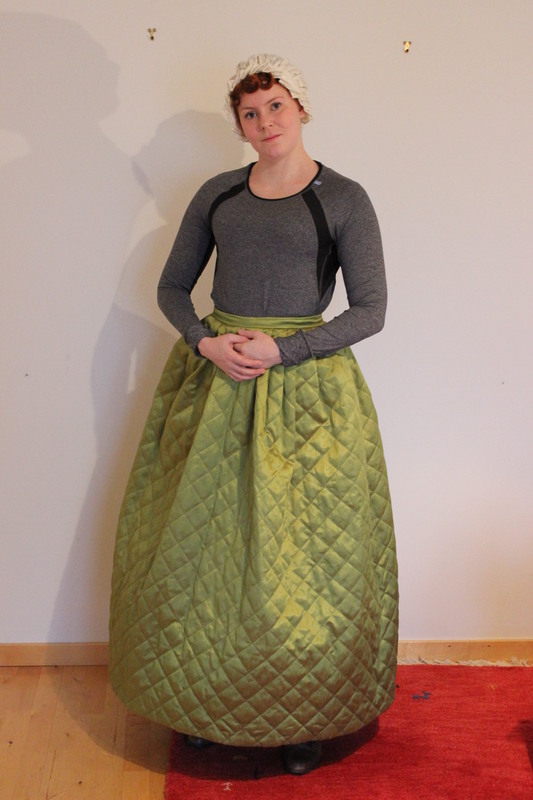 Two sets of cotton beddings made up this dress. The duvets was enough for an additional evening bodice. Short on Time and/or Sewing Skill? 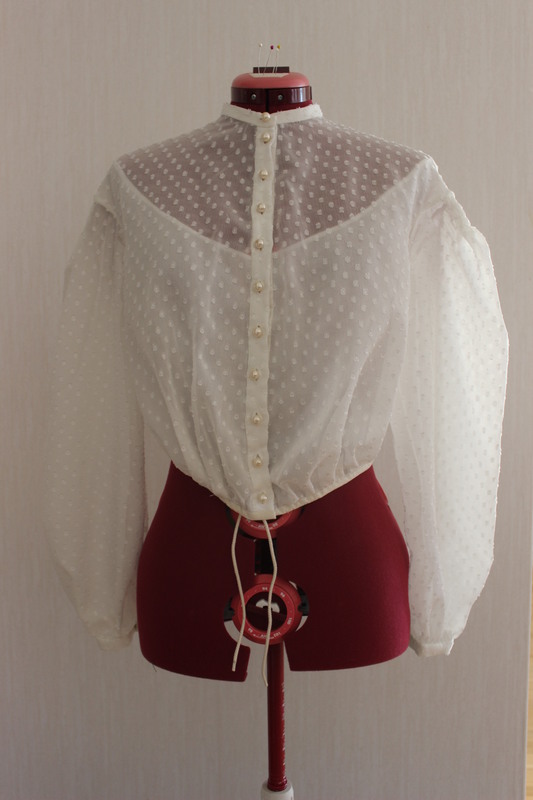 Buy the items you need: This blouse are currently up for grabs in my shop. Or rent them: This skirt and bolero was made by me to be rented. This costume (skirt, blouse and belt) took me about two days and is made mostly from rectangular pieces (the belt/swiss waist are really easy to make as well). 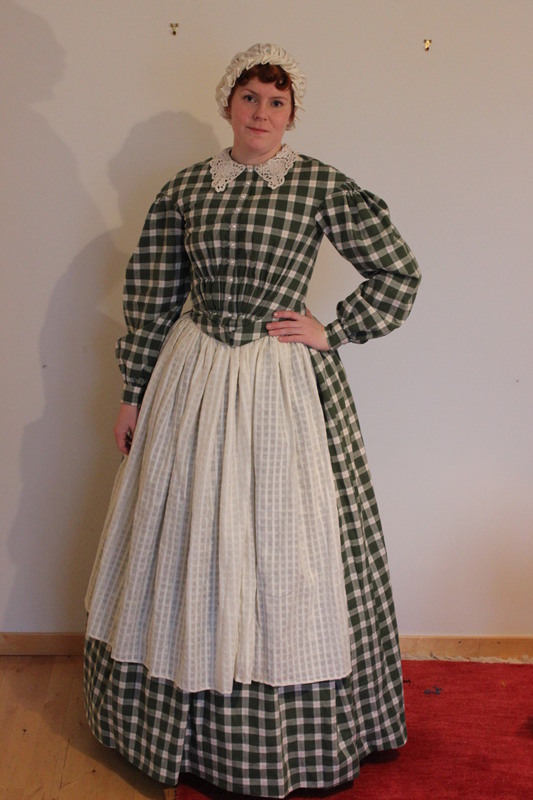 This is a combination of 18th century cap, 1860s blouse, 1840s skirt and early 20th century apron. A children’s boater, paired with a modern high collared blouse accessorized with a brooch and umbrella works in a pinch. 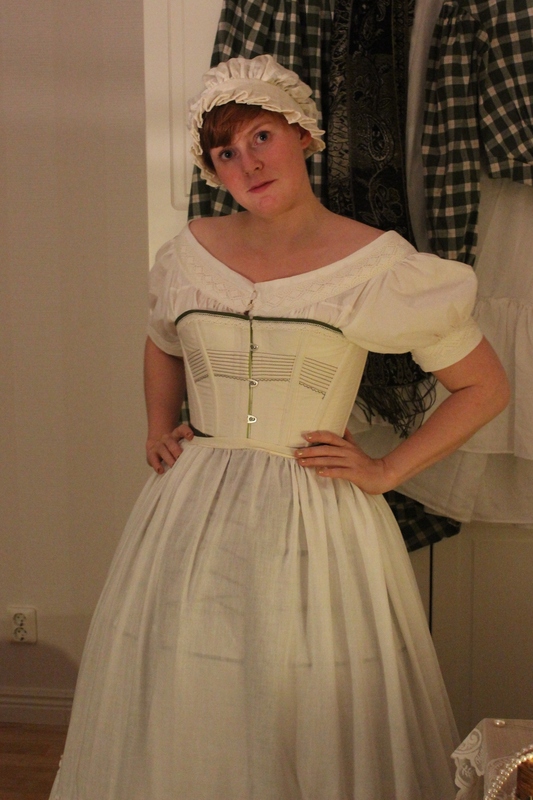 I just recently made myself a 1860s corset, and used to use my 1880s one for everything from 1830-1900s. 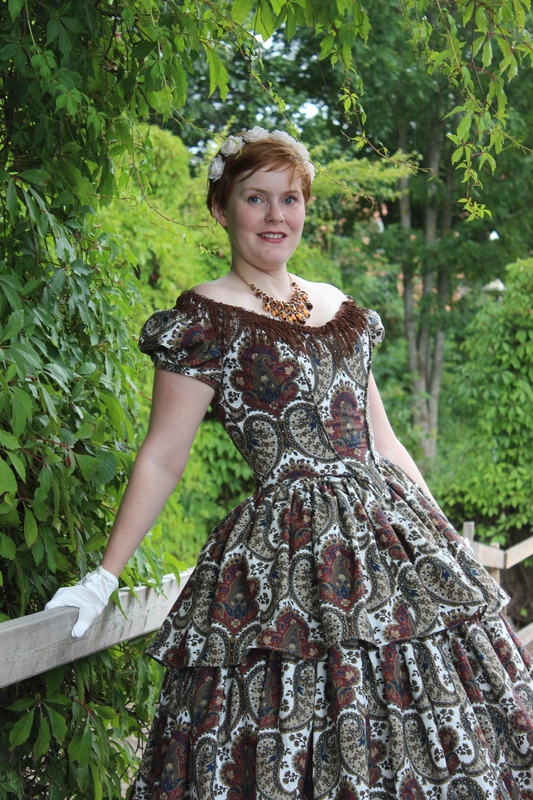 I made this corsets from a 1880s pattern but my sister uses it as modern party clothes. Made from a pre-quilted fabric, this gem took me about an hour to make and have seen every era from Tudor England to 18th century and the 1850s. It’s just Perfect! 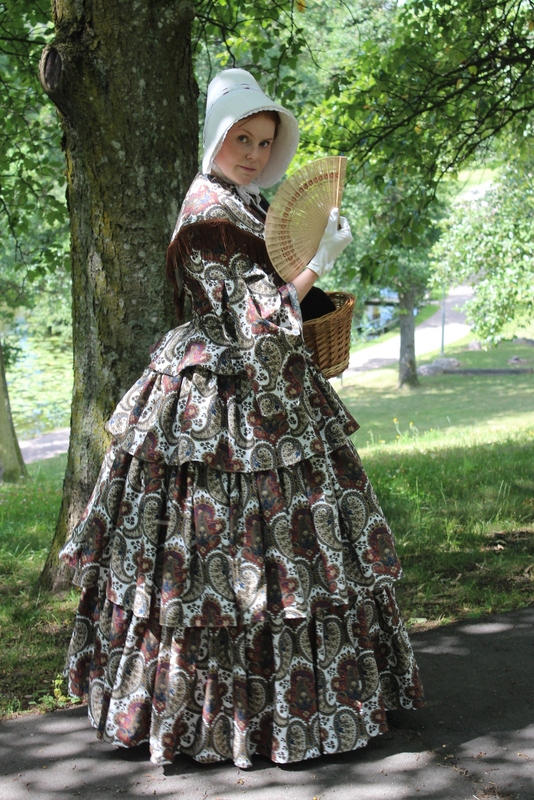 Maybe you can pose as a commoner using shawls, old blouses and aprons. Two bonnets with about 50 hours difference in time spent on them. 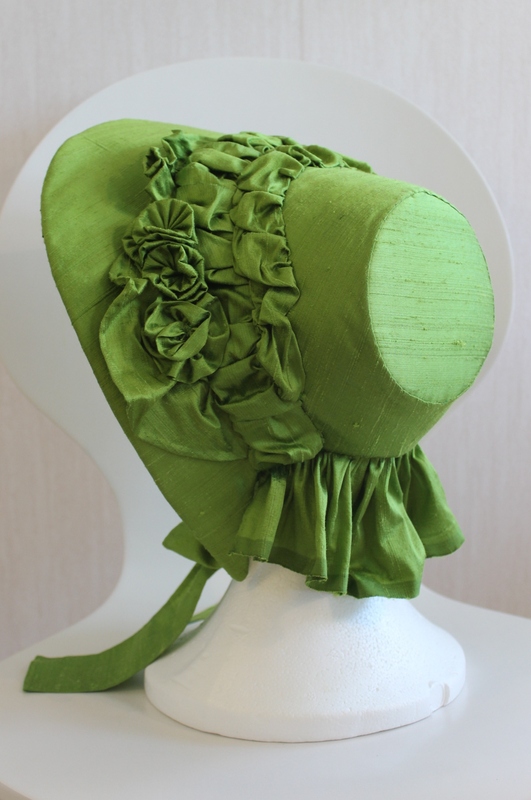 The green one is a piece I made from scratch using silk and hand-sewing, while the right one is a modern straw hat where I cut parts of the brim, and added a lace-ribbon and called it a day. If you’r going on a event, chances are that you know at least one person there – see if they have something that would work on you. 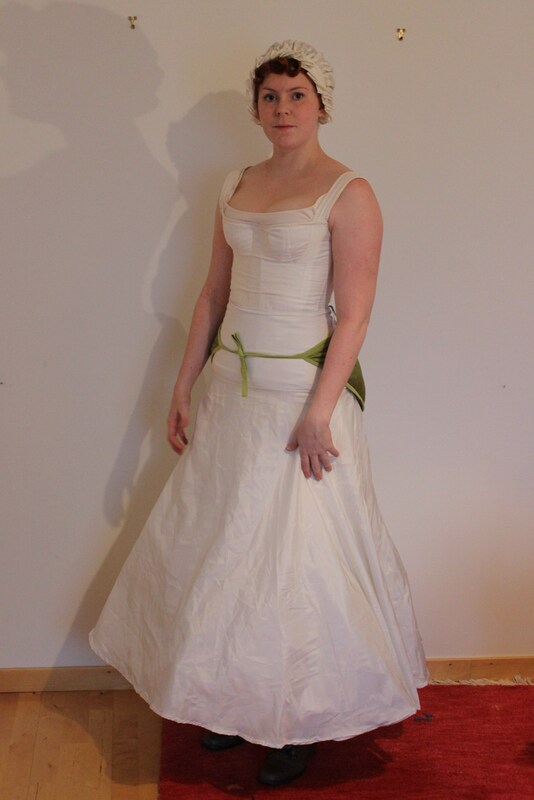 Here my sister’s wearing my green 1840s gown for a winter photoshoot we did a few years back. Perhaps there’s not such a big deal if you show up wearing costumes from 10 years to early/late. After all everyone just there to have fun, right? 18th century peasant can almost work in the mid 1800s. 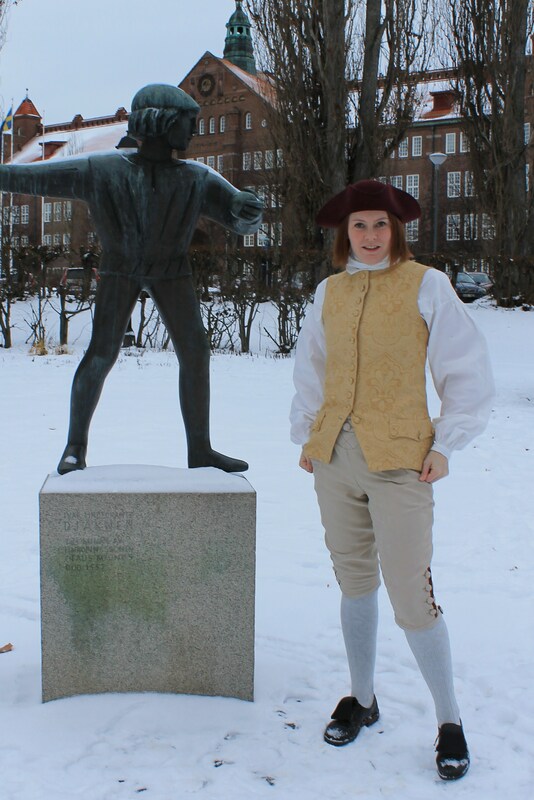 Bend the gender barrier and dress as a man (or lady). 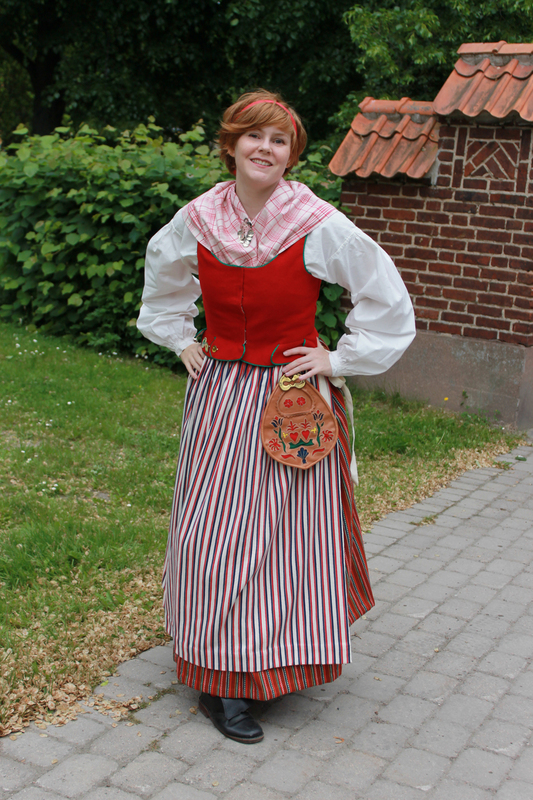 Most of our Swedish national costumes comes from the mid 19th century, why not use that as an excuse to wear one. But most of all, don’t sweat it if your not wearing the perfect costume, chances are no one will notice the modern tidbits or, lacking bloomers. Go, have fun, and don’t over think it. So many good ideas, thank you!